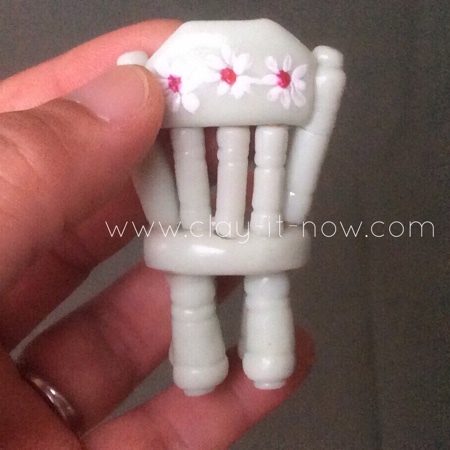 The miniature vintage chair is our first miniature furniture with half inch scale or 1/24 after a friend who visited us suggested that. 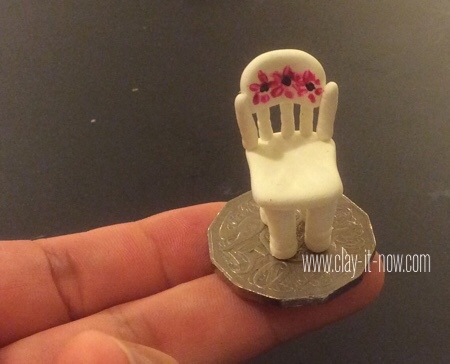 I used 50 cents coin for its base so that you'll have a better idea for the size of the chair. 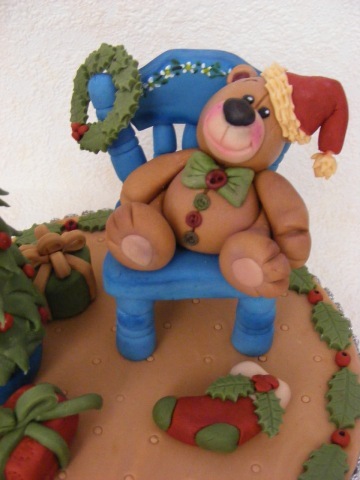 The idea of this model was from Karen's blog titled "Chair for Christmas Bear". I planned to show you my step-by-step guide to make the vintage chair but since the pictures in the blog seems clearer, I decided to share her picture tutorial. Basically prepare all components for your miniature chair. 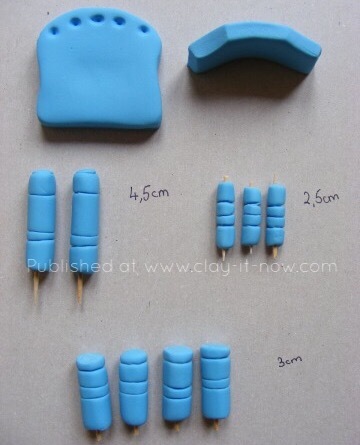 Knead your clay well, use rolling pin to flatten the clay and cut it to square shape. Make two identical shape. Use round cutter to cut the corner but no worries if you don't have the cutter. 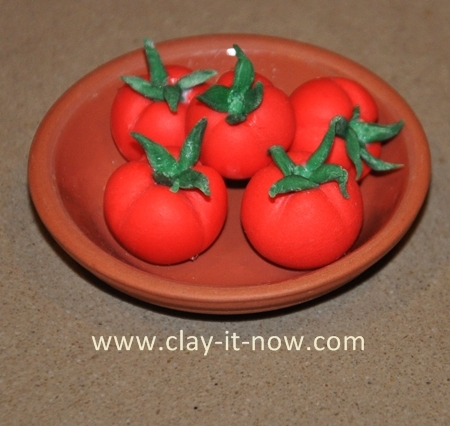 You can cut it straight with your clay knife and use hand to smooth the edges - the same way with the other two corners. And shape the middle part with your thumb and index finger. Prepare 5 small holes at the curve side with equal space. Take another square shape clay and make the back of the chair. 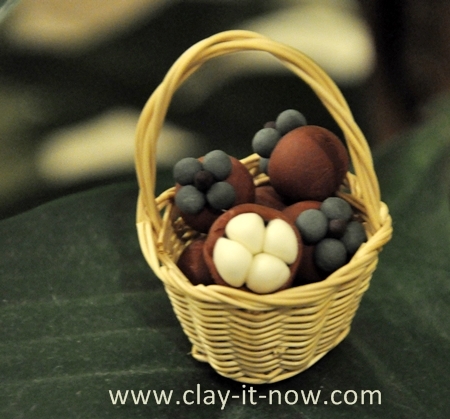 Make total 9 pipe clay shape (see the picture below), insert the toothpick to strengthen it and leave it air dry in room temperature. Attach the back part to the seat and leave it dry. Finally attach the legs to the back of the seat. 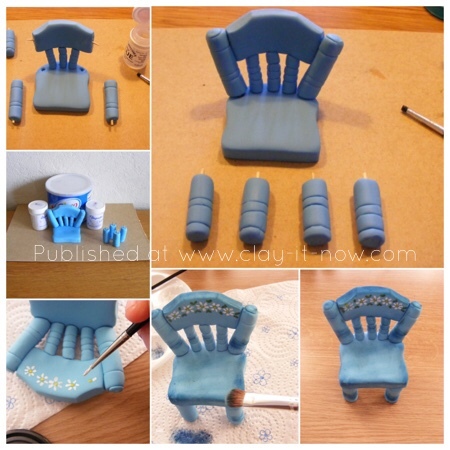 Paint some flowers with any color you like and make the chair looks old with acrylic paint. 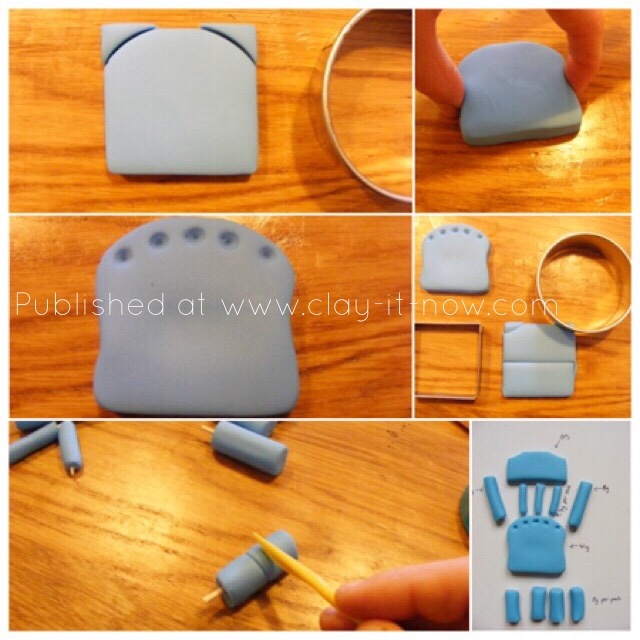 Have you done the miniature following the picture tutorial here? Or, have you done it in your own style? We would like to hear from you. 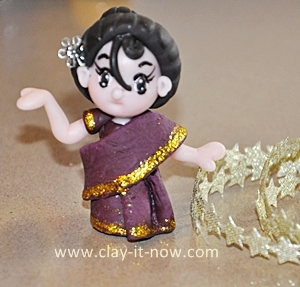 Please share your picture and story with us if you make any of miniature using the submission form in this page. 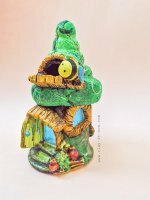 By the way, we've published the above pictures in our Facebook page last year but I just finished my version so I published the tutorial here. Please like our Facebook page for update and more tutorials that may not be published in our website. Lastly, we would like to thank Karen for the pictures.